Chinese oil giant PetroChina is reportedly in talks with US based Exxon Mobil to jointly develop the West Qurna Iraqi oilfield. The deal would make the Chinese company the biggest single foreign investor in the Iraqi oil industry. Iraq overtook Iran last year to become the second-largest oil producer in the Organisation of Petroleum Exporting Countries (OPEC). Iraq’s West Qurna field has the potential to produce more than five million barrels of oil per day. PetroChina is also in talks with Russia’s Lukoil to buy into a second project at the Qurna field. Official figures show energy hungry China’s dependency on imports has consistently risen. Crude oil imports expanded 1.4 per cent year-on-year to 164 million metric tonnes in the first seven months of 2013. 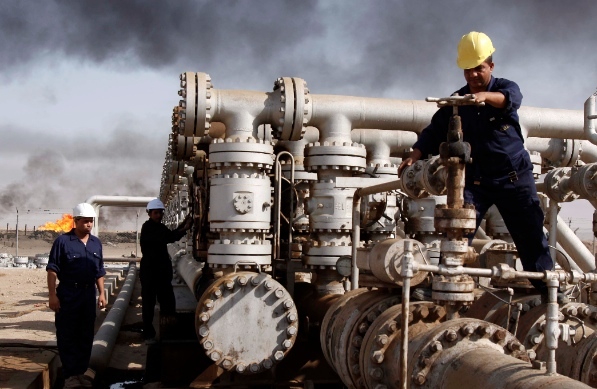 Iraq is trying to raise its oil output by 2017 beyond 12 million barrels per day. Exxon Mobil already signed a separate deal with PetroChina last month to conduct a joint study of the Changdong tight gas block in the Ordos basin in northern China.